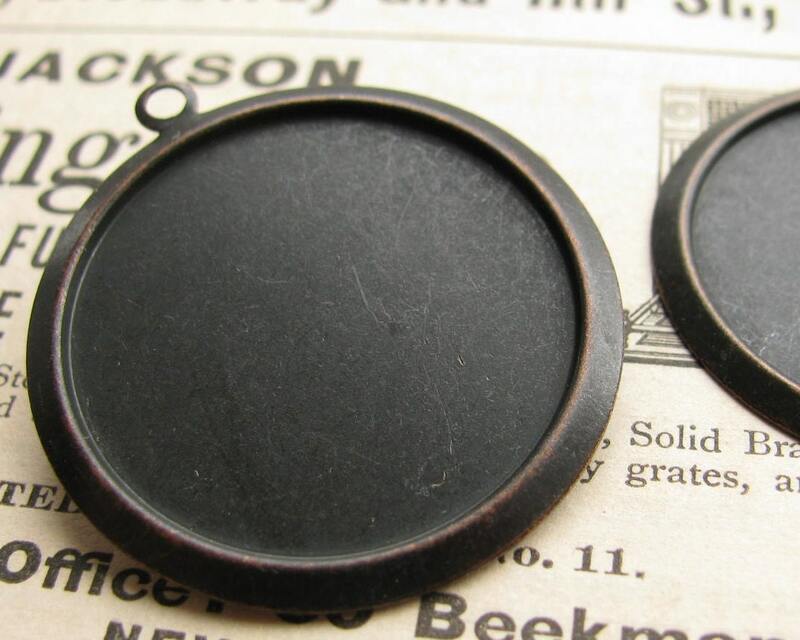 These deeply antiqued brass cameo mounts have a loop on the top. 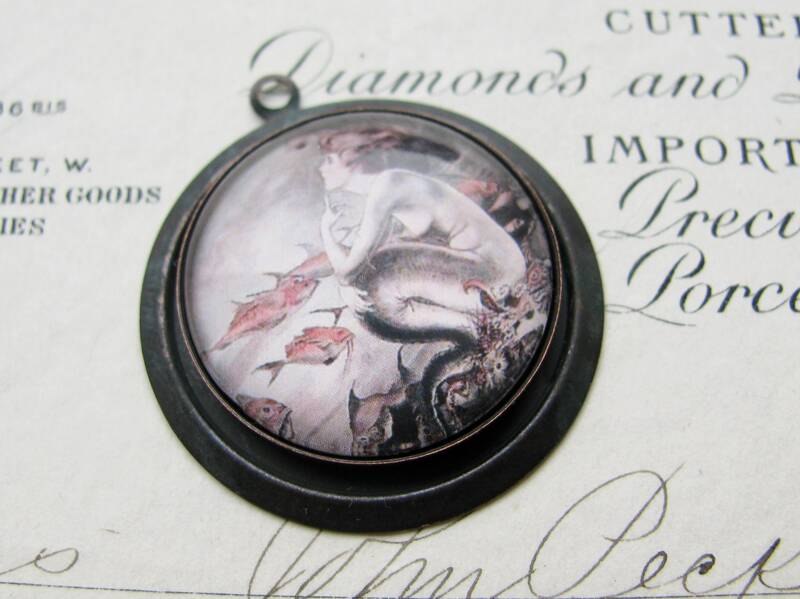 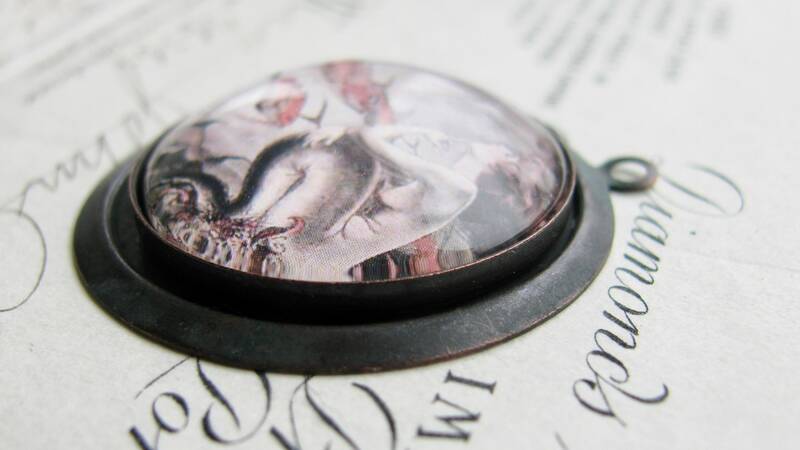 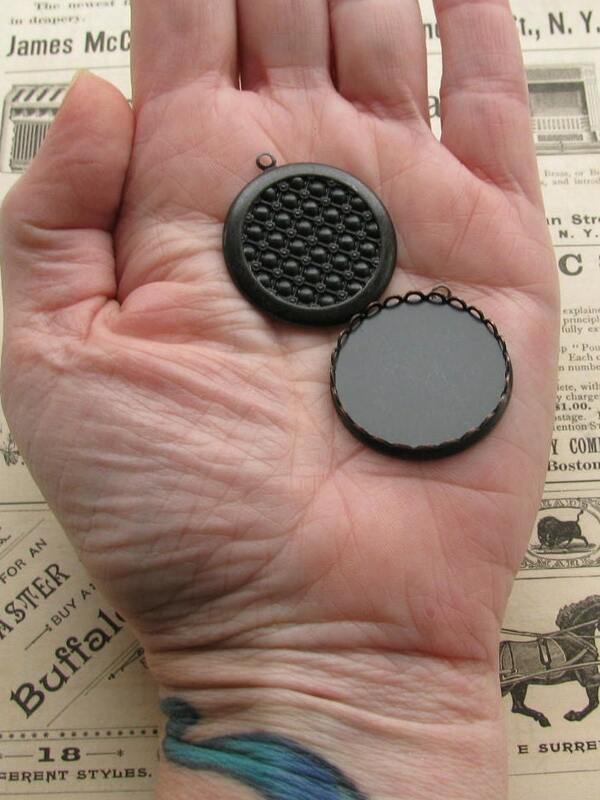 They are made to fit with a 25mm bezel cup and a cabochon, cameo, gemstone or resin element. 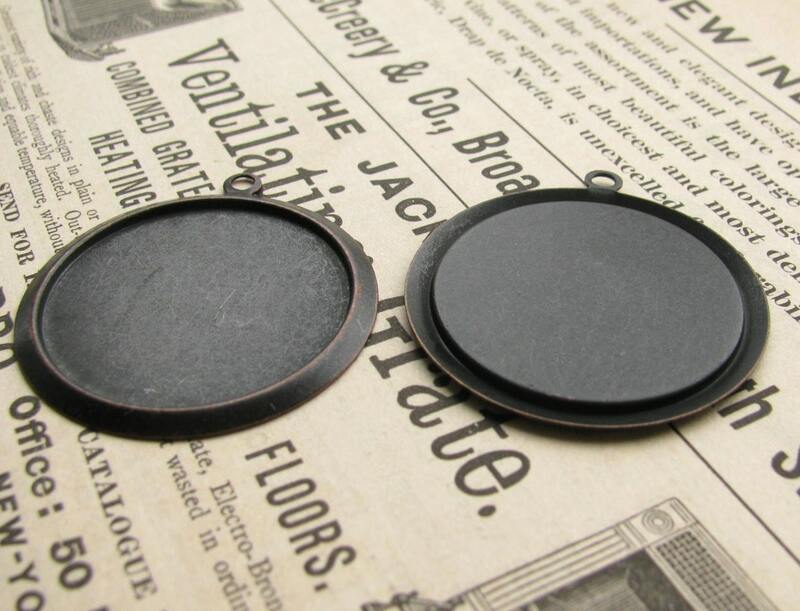 Bezel cups give a professional and finished look.